Almost two months ago, I caught the word ‘Pinterest‘ on an international style blog. Curiousity stoked, I trotted over. It told me to leave my email address and they’d get back to me once my account was approved. “Hmm” I thought, and forgot about it. I don’t like it when websites do this ‘we’re restricting access so you’ll think we’re aspirational’ thing. An account confirmation email landed in my inbox sometime later, but I didn’t bother checking it. Like I said, playing-hard-to-get isn’t my favorite game. Google does it all the time and I don’t like it but well, they are the big daddies of the space and I don’t have much choice. But Pinterest has been getting so much attention on the social circuit, that I found I just had to go back for a second look. Since then, I’ve been spending nearly an hour on Pinterest, every day that I’m online. I’m still exploring the space for pins and people. In addition to Pinterest’s own features, this exercise of joining and building a usage profile on a new social network/service is interesting too. For the unpinned, Pinterest is an image curation service. You can ‘pin’ or display images that interest you and also categorize them into folders (called boards). Following the Twitter principle, Pinterest also lets you follow and be followed by other Pinterest users. You can ‘repin’ (like RT) images onto your own boards. And taking a note out of Facebook, Pinterest shows you ‘Recent Activity’ with notifications of people who follow you and repins & likes of your images. 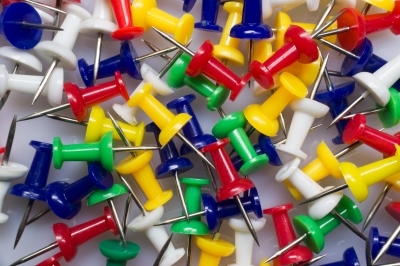 The ‘Pin it’ feature gives you a toolbar button so you can pin anything you see and like while browsing. And finally, you can login with Twitter or Facebook as well. What I’m finding really interesting is that Pinterest symbolizes an evolutionary step in social media user behaviour. We are moving from content creation to content curation (as Gautam Ghosh once told me). Obviously Pinterest is a great way to promote your own image-based work. I’ve been doing it with Facebook Photos & Flickr by posting images used in my blogposts with links to the original posts. But Pinterest makes it much, much easier to also draw in other related content. I began on Pinterest by creating boards that mirrored my blog categories and Facebook albums. But over time, I’ve added pictures by other people, which also fit into those categories. And last week, with a revamp of my boards, I realized that I was giving my Pinterest profile, a life of its own. I’ve now created boards that I (and possibly others) are interested in, not just boards that reflect what I create. I take this to mean that you cannot simply download Pinterest images that you like and use them for your own purposes (wallpapers, blogpost illustrations, logos, header art to name a few applications on the social space). This is the one that interests and troubles me the most. Does this mean that I cannot actually pin any picture I like online, since I may have absolutely no copyright claim to it? Clause (ii) seems to offer a way out. I know that publishing original content automatically bestows copyright ownership on the publisher, even if they don’t explicitly say so on their site (or blog). 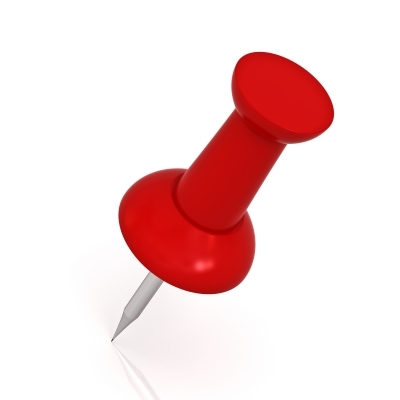 Does pinning constitute a violation? On one hand, it feels a lot like a Facebook link share, which in turn felt a lot like sending out an email sharing a link one liked. No problems at all, as sharing is actually complimentary to the publisher. 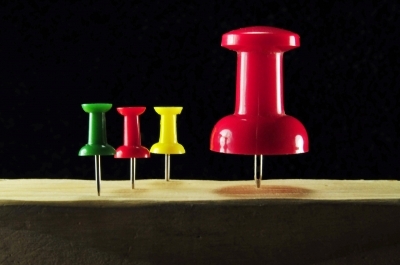 On the other hand, pinning does make it appear in a new place online. Even if there is a link back to the original source, given webusers click-shyness and SEO tenets, having your content appear in an alternate location is generally not a good thing. How does content curation fit into the copyright paradigm? I’m thinking of my experience with Themeefy. I chanced upon them when I found the ’55er’s category of my blog appearing on their site, under a user’s albums. I contacted them to tell them that I wanted it taken down since it hurt my blog’s SEO if my blogposts were available in any other location. They told me that it wasn’t plagiarism since they were linking to my site, but they took it down immediately. I wonder how somebody whose content is predominantly or completely pictorial (photographers, for instance) would feel about their galleries turning up on Pinterest. The Pinterest team themselves seem to be grappling with these questions as is evidenced by this post on their blog. Offering a snippet of code to publishers for their sites, if they don’t want to be pinned is a sweet idea. Still, it is a bit like saying, if you DON’T want strangers walking into your house, put up this notice. What of people who haven’t heard of the notice (or code, in this case)? I don’t see Pinterest going anywhere in a hurry. Instead of replacing an existing service, it makes actions easier and also adds a higher dimension to our online activity. However, Pinterest has been born into a space and a time where these questions are dividing the space into several factions. The service could well face a major backlash, the kind that Facebook seems to be constantly fighting these days. But Pinterest may not have the kind of solid backing and business plan that keeps Facebook afloat. Or like many other ‘bright spark’ services, Pinterest could get taken over by one of the giants. In which case, as users, it would be prudent for us to judge beforehand whether we want to sign over our copyrights to one of the big players, who already control so much of our information & usage. And finally, there is always the possibility that the world will change to accommodate Pinterest. This will mean a significant paradigm shift in the way we understand content ownership and copyright laws. What’s the world going to look like when content belongs not just to the creator, but to everybody? It may be Pinterest that shows us or it may be another. But the question is looming up in the air and it remains to be seen whether Pinterest leads the way or becomes a casualty of changing times. *Images via Grant Cochrane, Master isolated images and Carlos Porto on FreeDigitalPhotos. Update: This article was written ten days prior to publishing on March 26. On March 23, Pinterest announced a change in its terms on its blog and to users via email. The blogpost highlights the fact that Pinterest will not sell images that have been pinned. Yes, the tide is certainly turning.